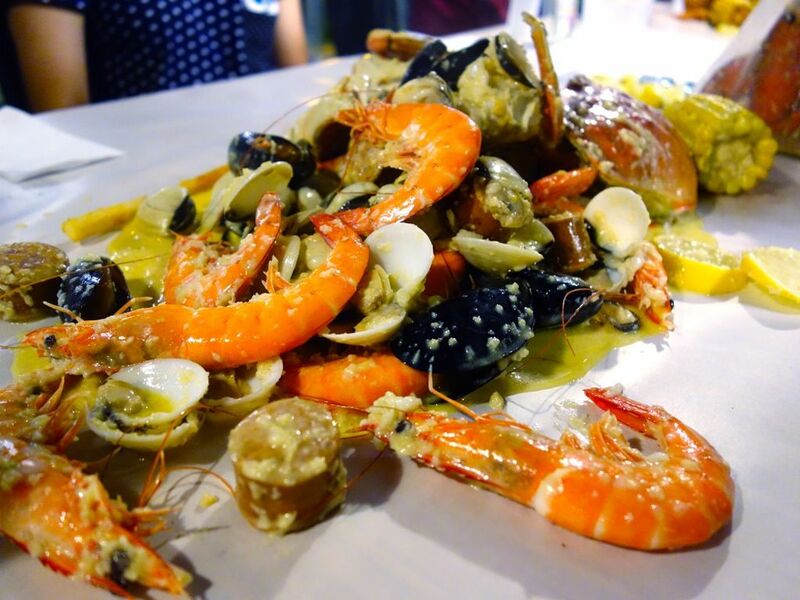 It is all about Southern American Cajun seafood boil on our sunny island these days and we checked The Boiler, a gem tucked in the ulu and industrious Tai Seng estate. 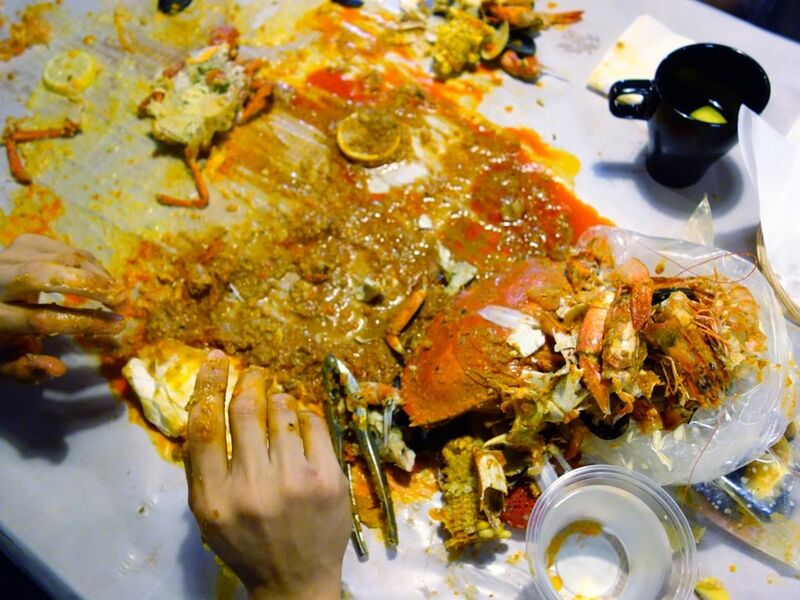 It's a queer location for a seafood spot but we absolutely dig the cavernous space and their delicious offerings. I guarantee that The Boiler is certainly worth your trek! Here's the menu. 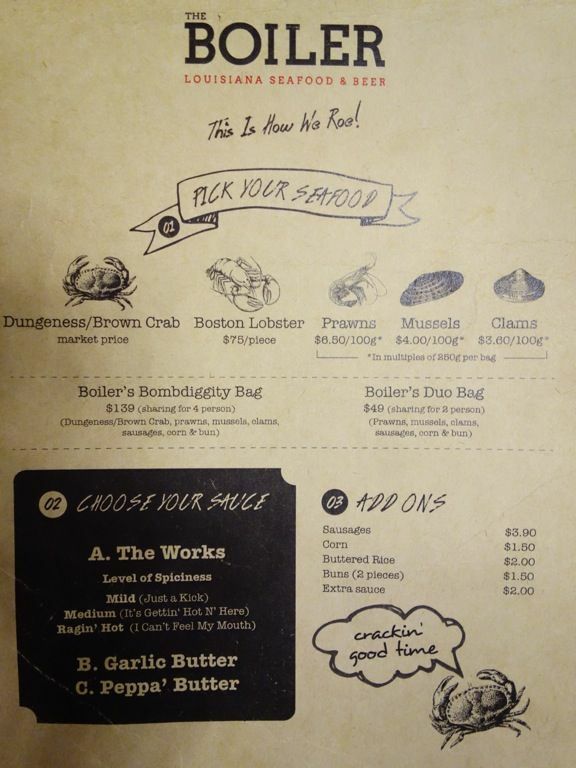 It made perfect sense for us to order the Boiler's Bombdiggity Bag ($139) since there's a huge group of us (we had 3 bags of that). Each bag feeds more than the recommended 4 pax (that or we are small eaters). 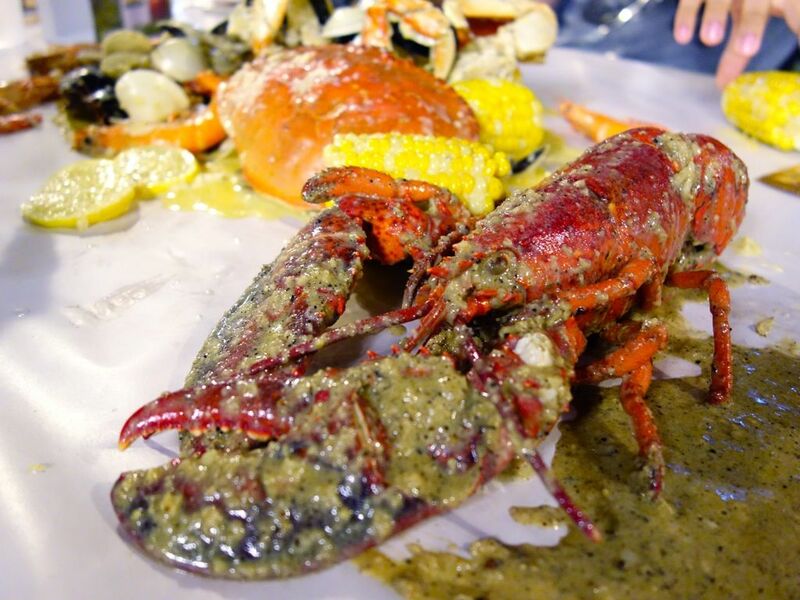 Dungeness or Brown Crab, prawns, mussels, clams, sausages, and corn are tossed with a sauce of your choice. 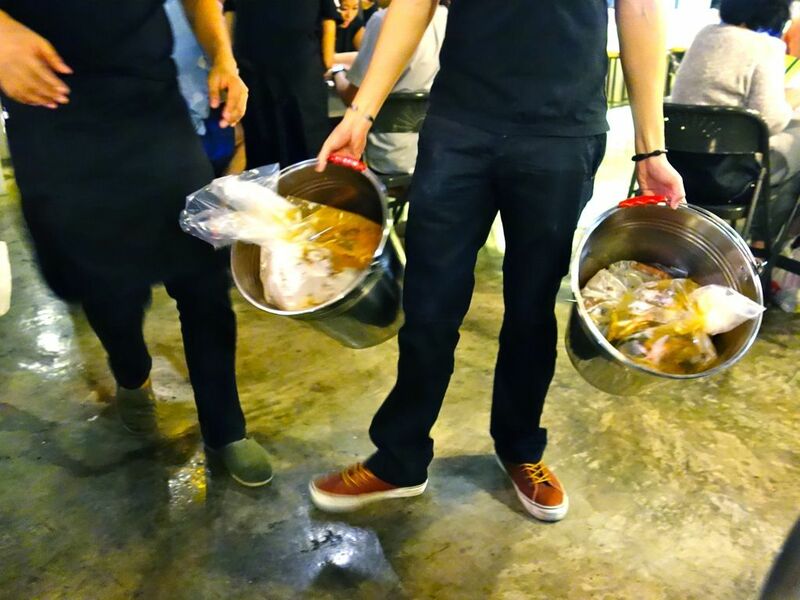 Our food were delivered in plastic bags placed in big metal buckets. You can only imagine the excitement at the table when the food was poured over the grease-proofed table mat. Don't worry, plastic bibs are provided to protect your clothes but try not to wear white yea? For the sauce, there's garlic butter (for the kiddos), pepper butter (for amateurs), mild, medium and raging spice. Of the lot, i thought that the mild worked the best. It was more savory than the bland and boring garlic butter, but not too spicy to give you a heartburn or mar the taste of the seafood. You really don't wanna be eating chili alone (my bad experience at Cajun Kings taught me that. Read review here). Of the ingredients in the bag, I loved the succulent and juicy prawns, the salty chorizo style sausages, and not to mention the sweet corn! The juicy kernels provided a respite from the spices after a while. 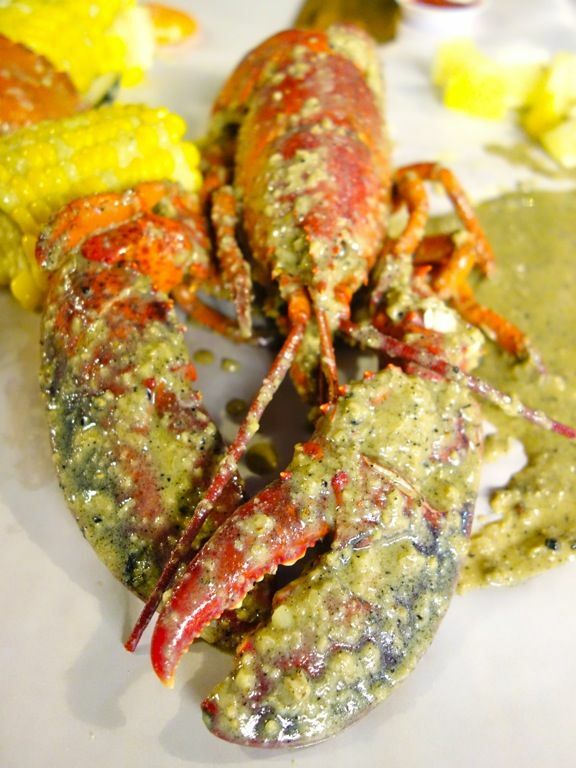 Get a lobster ($49) to go with your meal! Same price as Pince and Pints but without the queue (just make a reservation)! I liked this better than the crabs. Lemon butter was a good choice as the sauce is lighter and simpler, which allowed the freshness of the lobster to come through. The pepper butter can be rather overwhelming with spice in my opinion and not quite suitable for this meat. Have some sides to go with the seafood. The bags come with fried man tous (buns), which were great to mop up the sauce a la chili crab style. We enjoyed the Cajun Fries ($5.90) with crispy thin batter and substantial filling. On hindsight i would have tried the sweet potato fries ($6.90). 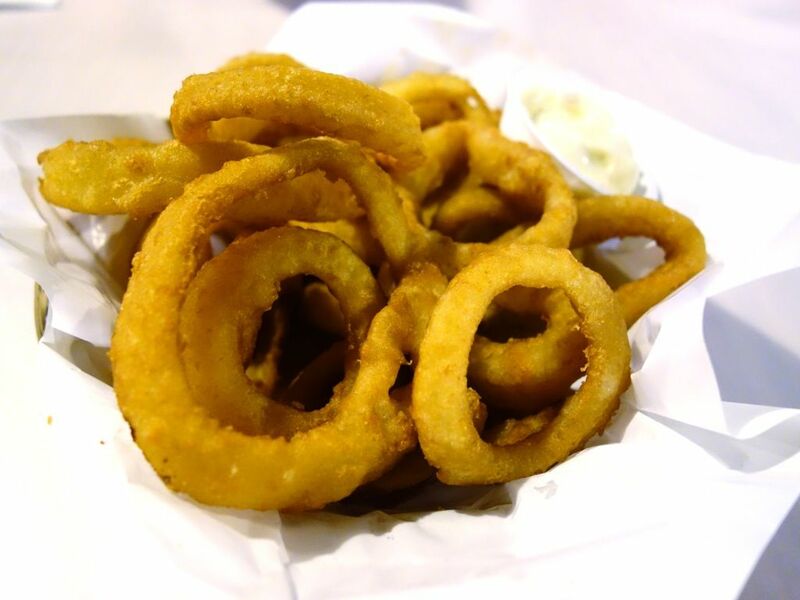 The onion rings ($7.90) were made with real onions and gave the meal an added crunch. Luncheon fries ($7.90) are well, luncheon fries. If you're not up for a seafood feasting, you could also do smaller meals such as fish and chips, chicken and waffles, and hot dogs as well. 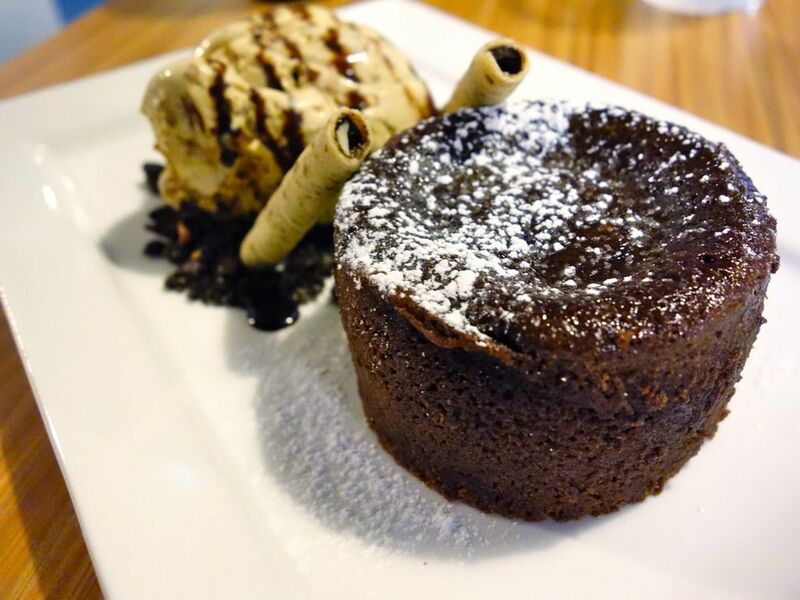 For desserts, we had the Molten Lava cake ($9.90) which remained fairly decent even after all the photo taking. The almond (mocha?) ice cream with Oreo crunch was a hit with us. 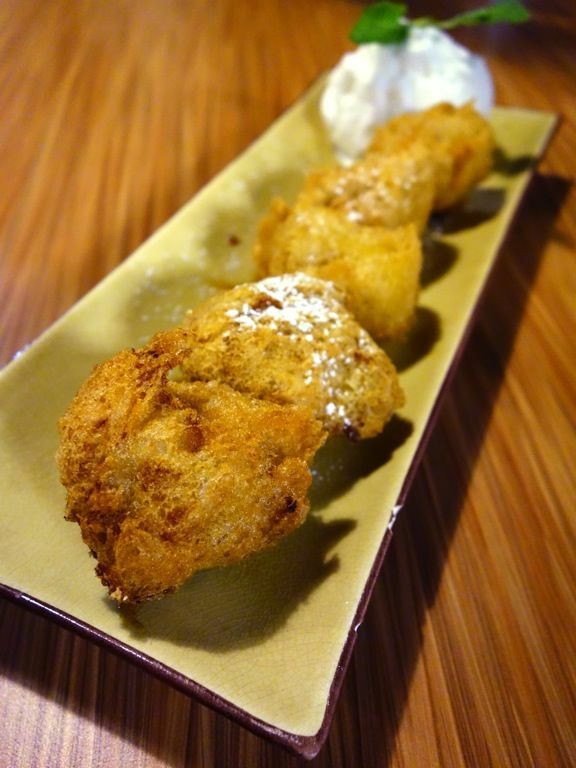 Skip the fried banana and durian fritters ($7.90) with salted caramel sauce and vanilla ice cream. It sounded way more exotic than it tasted and certainly not quite worth the price for fried pisang. Plus it had a stale oily taste. We really enjoyed our meal while it lasted. It was fun passing food around with our bare hands and letting loose at the dining table. However, the gastric reflux was pretty severe and the garlic aftertaste lingered long after the meal concluded. In fact, it's pretty nauseating thinking about it right now. So yes, it's a once in a blue moon indulgence for us. That said, I'd certainly recommend The Boiler for a gathering with family and friends! 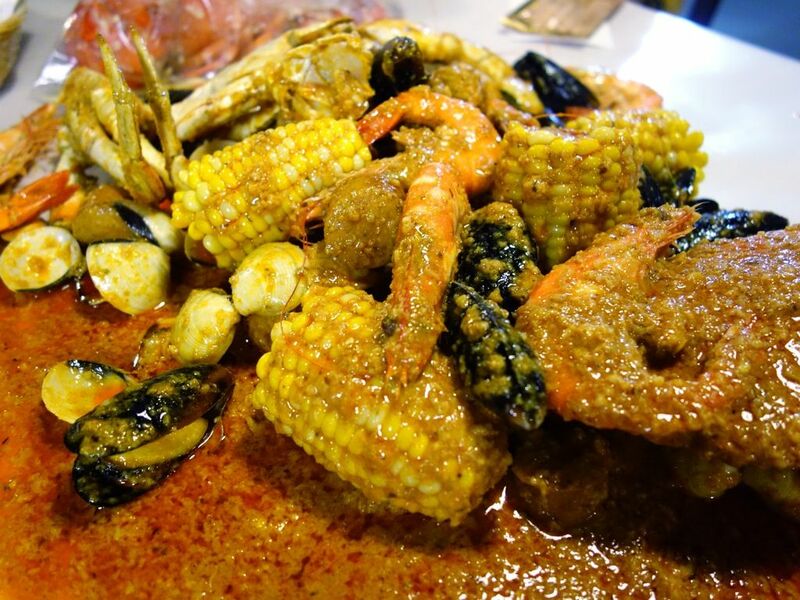 What's your favorite seafood boil?